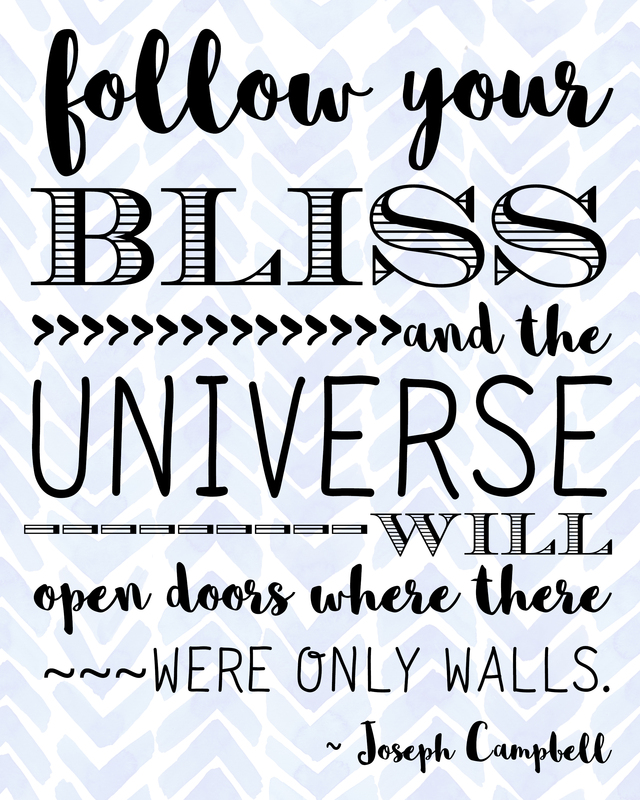 I’m sharing another Follow Your Bliss Quote Free Printable with you! I hope this quote inspires to live your life to the fullest and follow all things that make you happy! Print or save this image to remind you everyday to follow your bliss and find what brings you joy. You can download this free printable as an 8×10 print. I love printable art because it is an easy and affordable way to add decorations to any space. This printable is designed to fit within a 8×10 frame. I recommend printing on card stock paper or photo paper. Just open pdf file, print, trim and display in any space or save the jpg file and send it to your local photo center to print! Thanks for visiting! I hope you liked my Follow Your Bliss Quote Free Printable!